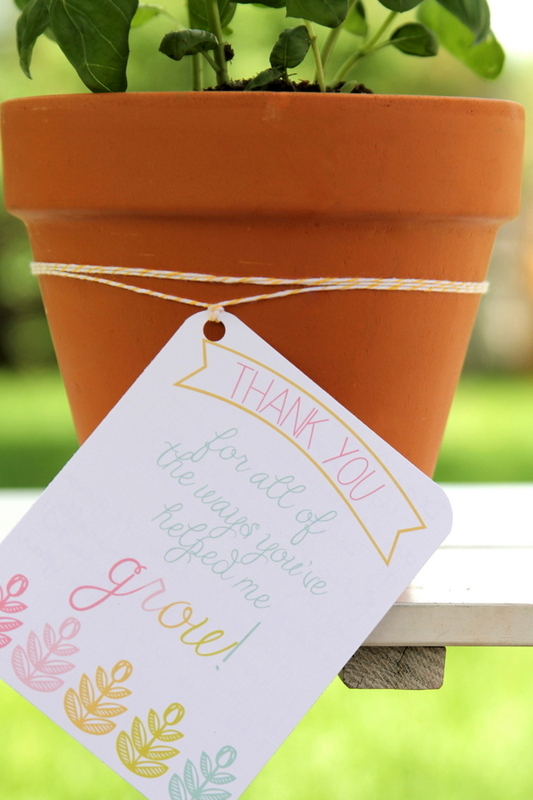 Even though teacher appreciation week was last week (and, seriously, teachers deserve all of the appreciation in the whole world- have you read this? I couldn’t say it better myself! ), the end of the school year still looms ahead. 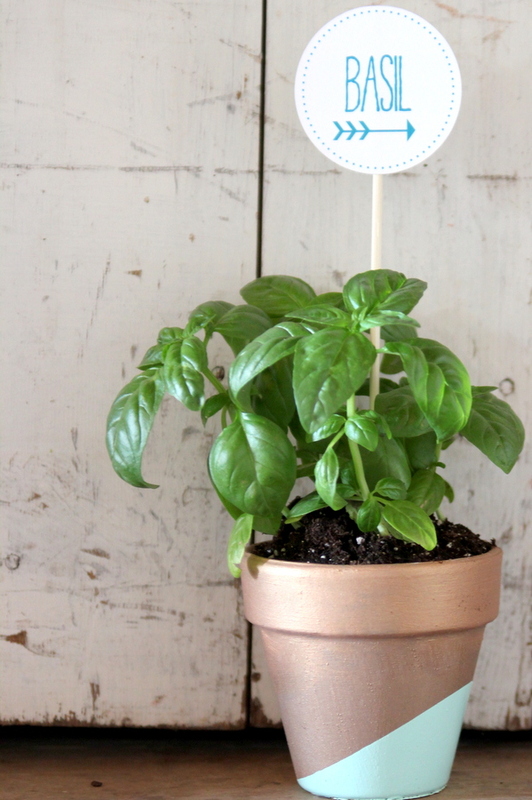 So I thought I’d share a twoforone today- these darling dipped herb pots PLUS the free “Thank for helping me grow” printable tag that we tied onto herbs for end-of-year teacher gifts last year. 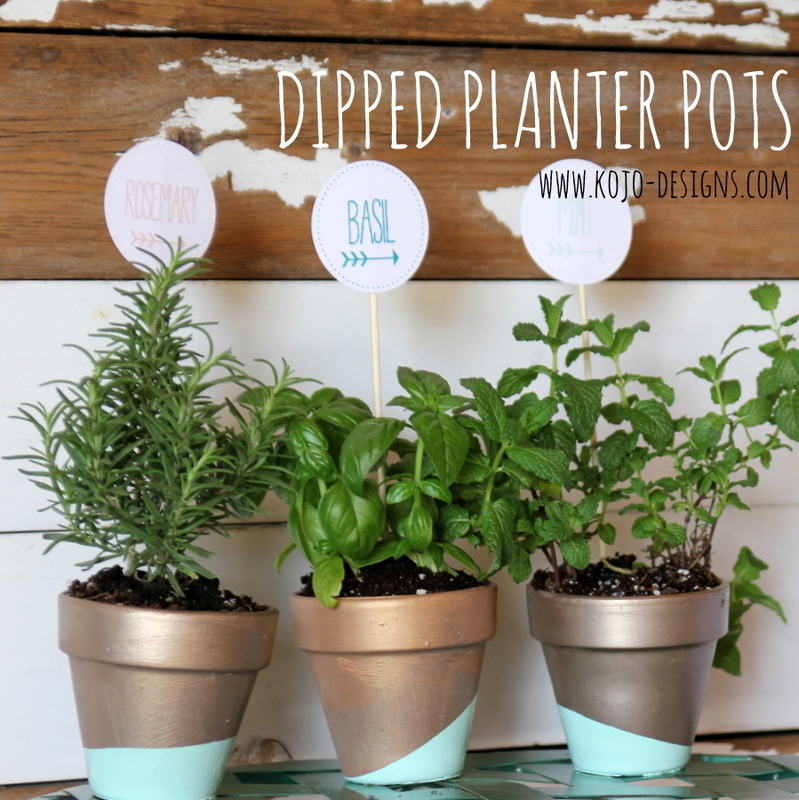 Even better, if you pair one of these dipped planter pots with basil, rosemary or some sort of potted flowers and the free printable “Thanks for helping me grow” tag, your end of year teacher gift is done!